The Washington Post admitted in an article that Jamal Khashoggi, who was killed in the Saudi embassy in Turkey, was writing propaganda for a Qatar-funded organization. Qatar is Saudi Arabia’s enemy. They’re no friends to the U.S. or Israel either. Khashoggi was a foreign agent indoctrinating Americans. The purpose was to turn U.S. policy against Saudi Arabia and in favor of The Muslim Brotherhood. …Keep in mind that The Washington Post martyred Khashoggi knowing he was Muslim Brotherhood and had been a friend of Osama bin Laden’s. The Post also knew of Khashoggi’s deep Qatar connections and are claiming they didn’t know he was an influencer for the nation, despite his constant anti-Saudi op-eds. He wrote anti-Trump pieces also. …Khashoggi was never a journalist, but a highly-partisan operative. He worked with a handler to put out propaganda at the behest of the Emirate of Qatar. The scale of the Khashoggi operation suggests it was STATE-SPONSORED with Qatar and Turkey benefitting from these attacks on Saudi Arabia. 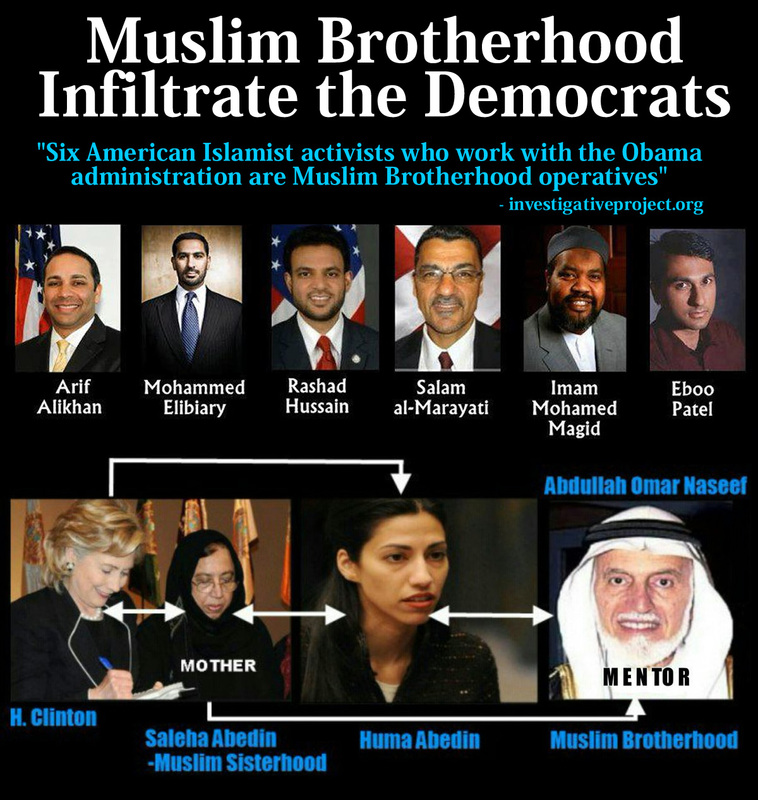 Here is where the D.C. power brokers get uncomfortable because it was the Obama administration that so aggressively embraced the Muslim Brotherhood terror group. The evidence of that relationship are undeniable and yet throughout Mr. Obama’s eight years in the White House, was again something the media ignored. The above facts in no way celebrate the brutal death of Jamal Khashoggi but it should also be noted that Mr. Khashoggi was no innocent himself. He appears to have been aligned with some very dangerous anti-American, anti-Israel, anti-Western Europe figures for much of his adult life – including Obama Bin Laden. Only when Bin Laden’s increasing extremism openly cost thousands of American lives during the 9-11 attacks did Khashoggi publicly distance himself – while allegedly remaining devoted to the Muslim Brotherhood and its Islamic fundamentalist expansion goals across the Middle East and the world. It was that Muslim Brotherhood connection that is said to have been the primary catalyst for Khashoggi’s murder. The Brotherhood, which controls much of the Qatar and Turkish governments, has called for the overthrow of the current Saudi government. It also remains strongly anti-woman, anti-gay, anti-Jewish, and anti-Christian, among many other things it opposes on religious grounds. That is who Jamal Khashoggi was. It remains a shameful act by the U.S. media to continue hiding Mr. Khoshoggi’s troubling connections to powerful forces that ultimately want to see the destruction of Western Civilization. A rare moment of political truth coming from the Washington Post this morning. The ‘Blue Wave’ fizzled. Democrats were hoping for landslide victories across the nation. That didn’t happen and in fact, Republicans strengthened their position in the far more important Senate. Historically, President Trump and his party did far better than most during a first-term Midterm cycle. (About 200% better than Barack Obam did by the way.) Ignore the media spin. The real Democrat power players are not happy with last night’s results an for good reason. Their victories were far fewer and less significant than what they were expecting. 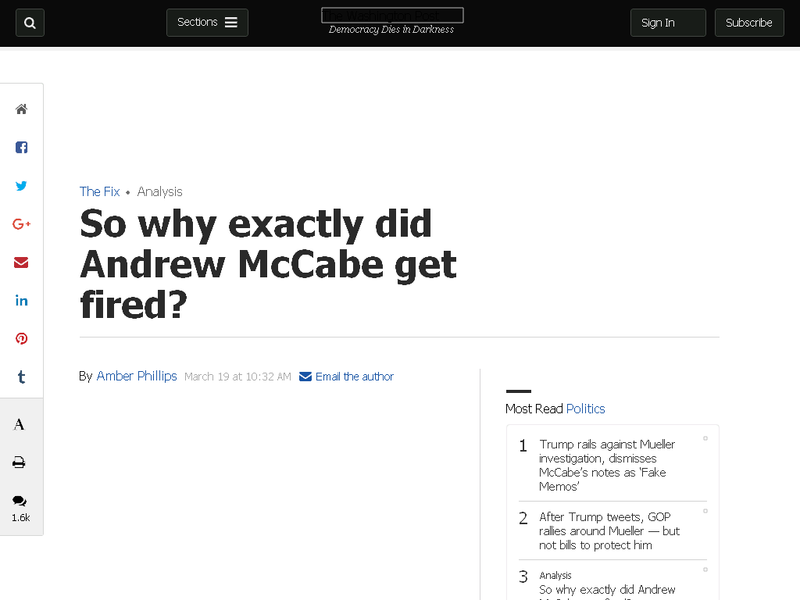 So why exactly did Andrew McCabe get fired? Many words and paragraphs follow but none of them state the obvious reason – one that everyone in the Establishment Media knows but have been working together to hide from the American people: The FBI’s own independent Office of Professional Accountability recommended Andrew McCabe be fired – immediately. McCabe was fired from the FBI because the FBI said he should be fired. It’s that simple. The OPA reviewed McCabe’s actions linked to the Hillary Clinton investigation/cover-up, the illegal surveillance of the Trump campaign, and attempted Deep State collusion during and after the 2016 Election and apparently found him guilty of serious wrongdoing. Any “news” agency that pretends to be reporting on the McCabe firing without including the above information is participating in a blatant disinformation campaign.